The opera is haunted: so learn the new owners on the eve of their becoming managers. Choosing to view it as a practical joke, Monsieurs Richard and Moncharmin refuse to take the Opera Ghost seriously. The demands of money, the reservation of Box Five - all these things seem like a way to get money out of the managers. But things reach a dangerous peak when a death occurs - orchestrated by the Phantom; or so everyone believes. Who is this mysterious phantom and how does he make his presence felt without ever being seen? Is the Opera House really haunted? or is there some mysterious figure lurking in the depths of the building? Weird, improbable, yet oddly fascinating - that's how I found The Phantom of the Opera. The whole concept of the entire underground system of the opera seems unreal, and yet it is actual fact! The phantom, or 'Opera Ghost' is an uncanny creature who pops up here and there keeping the workers at the opera on their toes and rules like a king. His various gifts, cultivated in the face of his hideous face, allowed him to haunt the opera. His ventriloquism, his penchant for building traps and contraptions - all aided him in his mysterious home underneath the Opera House. Poor Erik. I was more inclined to say 'Poor Christine and Raoul'; but then I didn't know Erik's story before he took to haunting the Opera. Erik wasn't the normal hero you would feel sympathy for: he was cruel, sadistic, evil and selfish, but all the while you felt his handicap and pitied him. His psychological representation was eerie and he fluctuated between despair and intense devotion. His obsession with Christine Daae leads to his downfall and also unlocks the little good left in him. 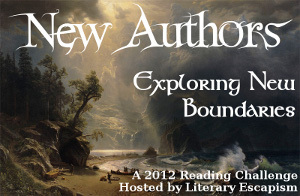 This book is a part of my New Author Challenge 2012. 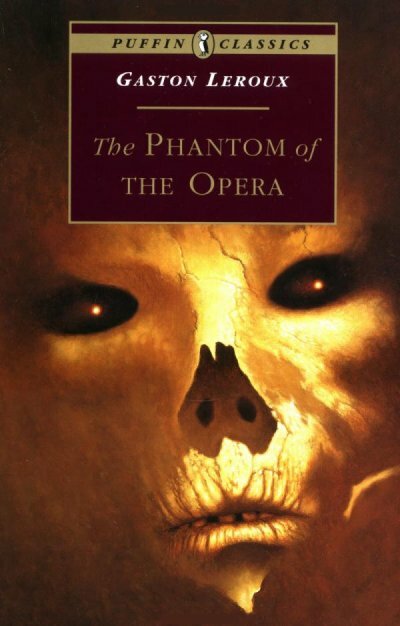 The Phantom of the Opera is my first book by Gaston Leroux and was a good experience. I just might pick up other books by him.